Bradford Rapheal Hill was born May 24, 1966 in Cleveland, Ohio to the union of (Mother) Belver Louise Washington Hill and (Father) Demarest A Hill. Bradford was baptized at an early age at the East Mt. Zion Church on Euclid Avenue in Cleveland, Ohio. 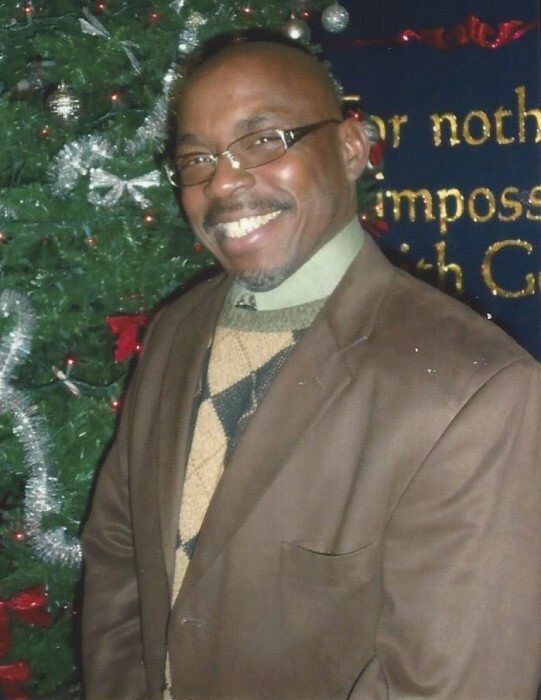 Bradford rededicated his life at Zion Pentecostal Church of Christ. Brad attended Cleveland Public School. Brad graduated from Max Hayes Vocational School. He also received a certificate for Security. Brad had a special talent for Auto Mechanics and Carpentry. Brad was a hard worker. He was blessed with many talents. Brad loved dancing to the Atomic Dog and was always the “life of the party”. He loved to sing “Never Would Have Made It”. Brad was loved by many, always smiling, joking and laughing. If you met Brad, you would have felt like you have known Brad all of your life. Bradford married Marrion Perry Stevens on June 30, 2008. Preceded him in death (Mother) Belver Hill, (Father) Demarest Hill, (Daughter) Faith Monet Love, (Nephew) Demonta Hill. Brad loved his nieces, nephews and all of his family. He shared a special bond with his nephew Dwone. Brad was a devoted father to one son, Jayvon Hill, three daughters, Delanie Hill, Shaquanda Hill, Tatiana Hill, stepfather of Charelle Perry, Michelle Perry, Erica Dumas and Daveda Perry . Brad was also a loving brother to four, Anthony Johnson (Richell), Lamar Hill (Tonya), Portia Hill-Thompson and Wilma Johnson. Cherished grandfather of Dana Jr., Jaya, Jai, Deissiah , Knya, Na’kya, Marchelle, Mariona, Page, Tahj and Lorenz. He also leaves to cherish his memory, a host of nieces ,nephews, extended family and friends.